Especially designed to be used with brake fluid. 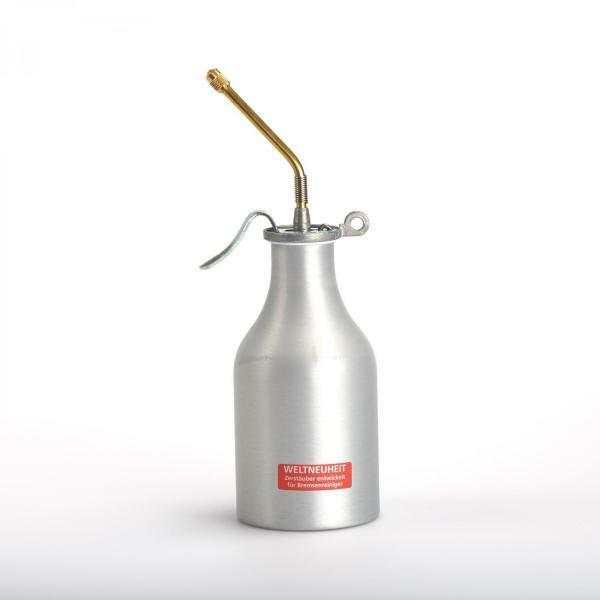 Unlike aerosol cans the liquid-sprayer gun with metal pump doesn't require propellant gas or compressed air. It's pumps corresponds to the all-metal construction of the Reilang precision oiler. The device can be refilled as often as required. The micro-sprayer is a further development of the liquid-sprayer with metal pump. The nozzle allows for variable spray angles, right to the point of jet spray. The metal pump is nickel-plated and the ball valves are made of stainless steel. The volume of the sprayer is 500ml (appr. 17.5 fluid ounces).